"Francesco Molinari was tied 20th in last year's Masters and if scientists were asked to make some design improvements to get him into the top 10 they'd have added length to his drives, improved his scrambling and putting and injected him with a dose of confidence." Many will say it's almost a given that Rory will challenge this week so it's just a question of whether he'll take the final step and and complete the career grand slam with a first green jacket. McIlroy has had five straight top 10s at Augusta although only two of those were top fives. By contrast, he heads to Augusta on a run of six straight top 10s in strokeplay events and five of those are top fives. "I would dearly love to win this tournament one day," McIlroy said in Tuesday's press conference. "If it doesn't happen this week, that's totally fine, I'll come back next year and have another crack at it. But I'm happy with where everything is, body, mind, game. I love Augusta, I love the Masters." DJ took a while to figure out the Masters, failing to make the top 10 in his first five visits. However, he's now had three in his last three although just a single top five still. The putter let him down last year and he feels that holds the key this time. "I like these greens, they have got a lot of slope in them," Johnson said. "It's greens that, I like to see the ball breaking; it's something I really like out here. I'm comfortable on the greens, and I think if I can roll it well, I'll be right there come Sunday." So far this season, he ranks 13th in Strokes Gained: Putting and that makes him extremely dangerous if he can bring that form to Augusta National where he once had three eagles in a round. Rose immediately took to Augusta National and was the first-round leader three times early in his career. He's been more prominent at the business end in recent years with second places in both 2015 and 2017 although, despite the sustained excellence, he's been a tad frustrating in the top 10 market with an 11th, a 12th and a 14th. He plays this year's Masters as the World No. 1 and, with a win already in the bag in 2019, there's no reason why he shouldn't contend heavily again. "I think the comfort came pretty early. Just one of those places, guys talk about a course that fits their eye and I think this is one for me that I like all the shots out there. Confidence is up there for sure. I feel like I've had a decent year so far. I've had enough good golf to give me confidence." Rahm had struggled in his early majors with not even a top 20 in his first six but it all clicked here last year when he finished fourth and he added another top five later in the year at the USPGA. The Spaniard has had six top 10s in his eight strokeplay starts this season although note that just one was a top five. He has the game for Augusta but some say not the cool head. As a counter to that, Rahm quotes the advice given to him by three-time Masters champ Phil Mickelson: "Spent a lot time with him here the last few years and he told me once, 'You don't have to play perfect at Augusta National to win.' And I started thinking, I always thought you need to play really, really, really quality golf to win a major championship, and he said, 'Yeah, but you don't have to play perfect,' meaning that Augusta National is always going to give you a chance to come back." "I love this place just because of how much it allows to you use your imagination," said Fowler, who once shot a 68 with two doubles and just 21 putts. "I love putting these greens, to see different shots and playing from uneven lies, it's a fun place. I mean, to me, links golf is my favourite style of golf, just because of how much it allows you to use your imagination to hit different shots, and Augusta, without it being links golf, is very similar." 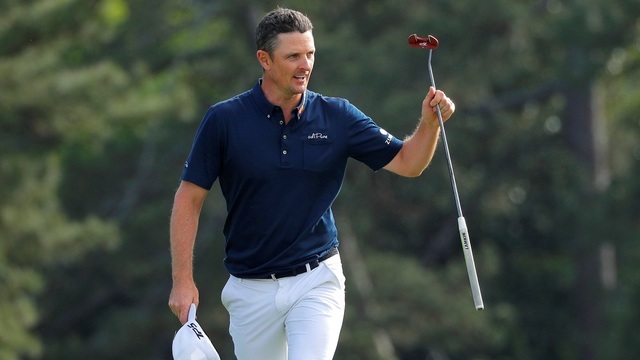 Fowler's 14-under total and underlying stats when runner-up last year would have been enough to win plenty of Masters and he has plenty of confidence this year having won at TPC Scottsdale and warmed up with a T17 in Texas last week. "Definitely feel good where the game is at. Played last week and feel like I was able to check a lot of boxes leading into this week." Tiger has four wins, 11 top fives and 13 top 10s in his Masters career although his last significant result was T4 in 2013. But, between injuries, he was also T17 in 2015 and T32 last year so he can still be a big factor. That applies anywhere given what we've seen this season and Woods was last seen making the quarter-finals of the WGC-Match Play. "I feel like I can win," Woods said. "I've proven that I can do it and I put myself there with a chance to win the last two major championships of the year last year. I was right there and just needed to have a couple more things to go my way and not throw away a couple shots here and there, which I was able to do at East Lake (his comeback win at September's Tour Championship)." Tiger ranks 9th in Strokes Gained: Tee to Green this season which bodes well but can he back it up with the putter? He's getting better but Thomas has still to post a top 10 in three starts at the Masters and that's a surprise on a course that should surely suit. "I've been very comfortable for three years now," he said at Sawgrass. "I just haven't played very well. I don't think there's many courses consistently that could fit my game much better. I think I honestly get too excited and too amped up and honestly over-prepared for it. I think I put too much effort into wanting to win the Masters or winning a major, whereas it's just another tournament at the end of the day." A more relaxed approach could do the trick although he's just gone a little flat in recent starts after starting the calendar year off with three top threes in his first four events. With Augusta National a venue where course form counts for so much, many are licking their lips at the chance to back Spieth - has a win, two seconds and a third in five starts here - at decent prices in all the various markets. Others are dismissing him chances due to the lack of a top 10 since last year's Open Championship. T30 in Texas last week was better and Spieth said: "I've come in here twice after missing cuts in the week before and been in the last group Sunday. I feel like my recent results aren't a tell of where my game is actually at, and I feel I've made a lot of strides. It's just a matter of trust in the stuff that I'm working on, and I don't feel like I have to play well. I don't feel like there's any added pressure this week." He's talking a good game but this really is a classic case of course form v current form. Having produced such a transformation in his game and results, Molinari's next trick, perhaps, is a serious challenge for a green jacket. It's not something he's come close to although T19 in 2012 and T20 last year show promise. Part of the huge improvement has been down to his putter and that would certainly improve his chances at Augusta National. He's also hitting it much further. "Usually it's a second-shot golf course. That should suit my strengths and my game," he said on Tuesday "What's let me down in the past is on and around the greens as it's a very tough test. I hope to show the progress I've made on the greens and around the greens in the last few months." The stats back him up as Molinari ranks 23rd for Strokes Gained: Putting and 58th SG: Around The Greens. Koepka has won back-to-back US Opens and also last year's USPGA but he's yet to make a real mark in the US Masters. A strict view is that he's yet to have a top 10 in three starts but there's a more positive spin too. Koepka has improved his position each time, was T11 on his last appearance in 2017 and, at the time, hadn't won a major. After missing last year through injury, he returns as a three-time major champ and no-one in the field can come close to matching his run at the highest level over the same period. Comparing himself to the one who took part in 2017, Koepka reflected: "Completely different player, probably, understand how to handle pressure a lot better. And really kind of matured off the golf course, I think is a big deal." The only doubt is a loss of form. Explanation? "The diet I was on was probably not the best. I wanted to try and lose some weight and maybe went about it a little too aggressively for just a long period of time and the intensity of what I was doing." 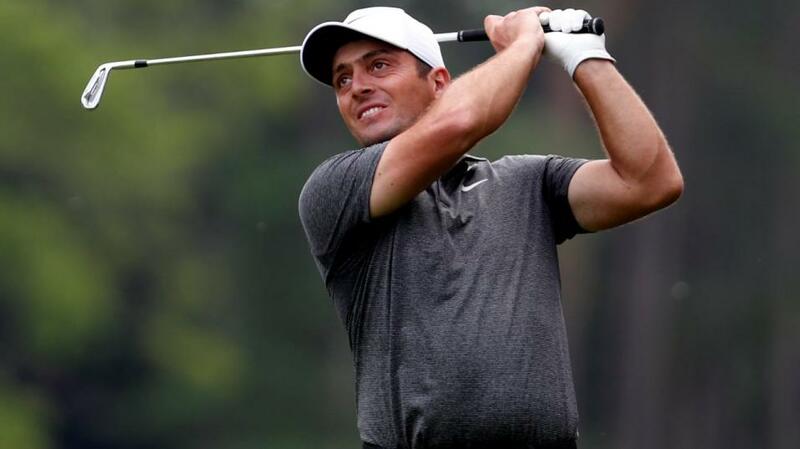 Francesco Molinari was tied 20th in last year's Masters and if scientists were asked to make some design improvements to get him into the top 10 they'd have added length to his drives, improved his scrambling and putting and injected him with a dose of confidence. Well, that's exactly what's happened in the 12 months since after his winning spree which climaxed with victory in last summer's Open Championship. So, having never really considered him for this, I now think he looks a very appealing bet to make the top 10 at just over 5/2. For top five, I think Rickie Fowler is interesting at 5.5. He famously made the top five in all four majors in 2014 and last year he produced some brilliant golf here to finish runner-up. I expect many more challenges from him at Augusta National and his form this year suggests he should be firmly in the mix again.